Prestige 5 + WNV (West Nile) with Halogen (10dose vial) is the industry's first 7-way Vaccine plus West Nile with the Havlogen Adjuvant and our most popular equine vaccine. 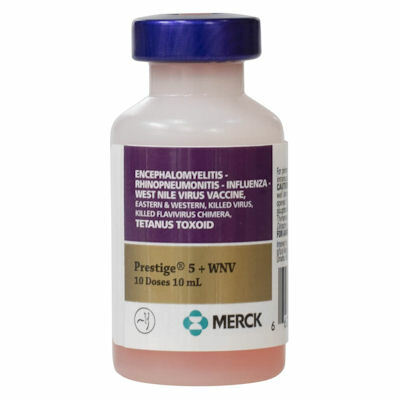 For single dose order Item #XXT2225 - $40.90 (Same vaccine as Prestige 5 + WNV-which is on manu. Back Order.